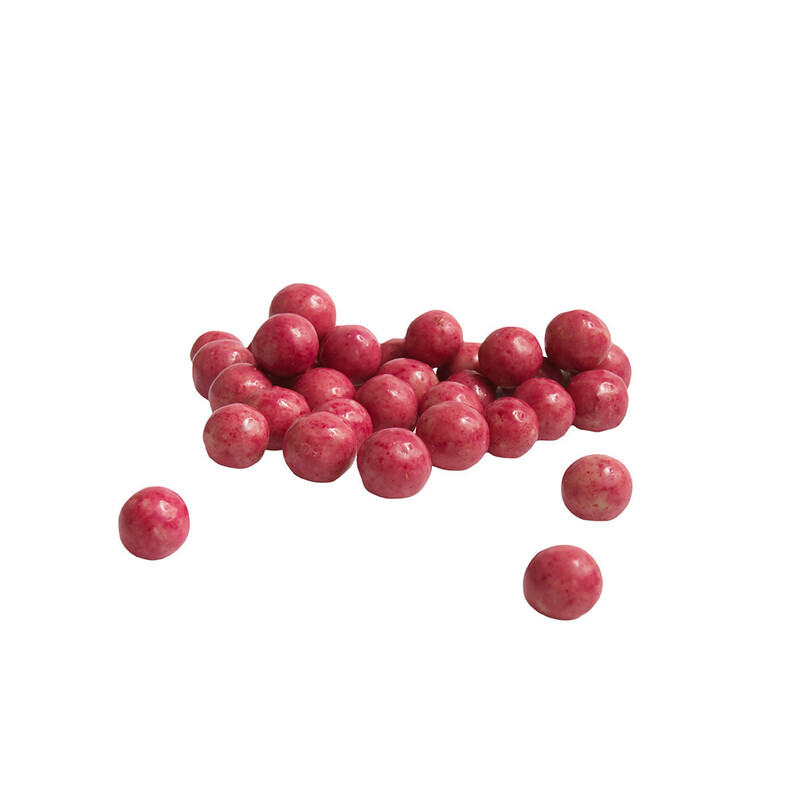 Our finest dark liquorice infused with raspberry flavour. 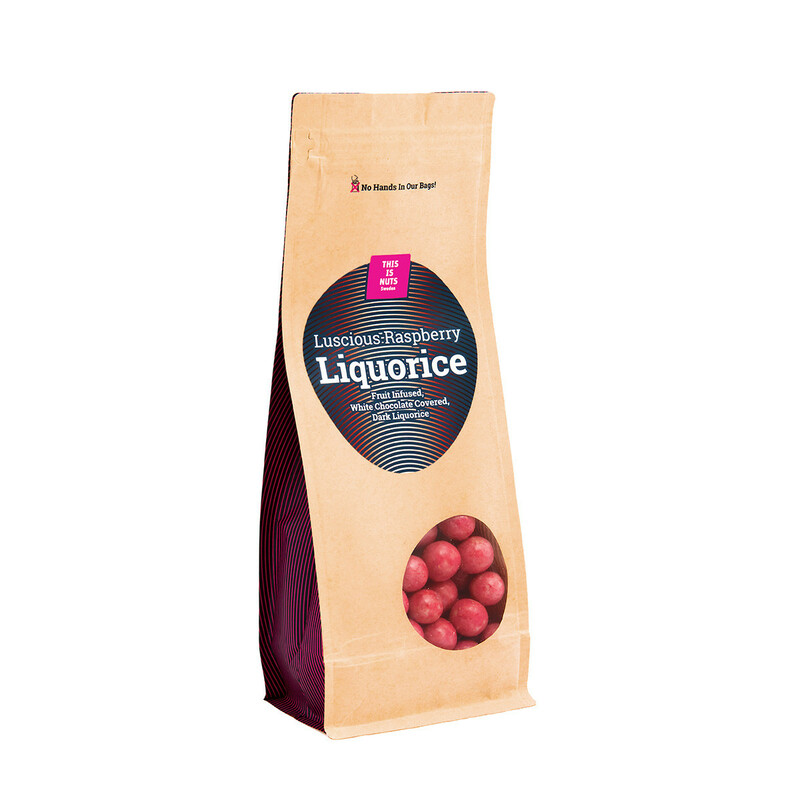 Ripe, juicy raspberries harvested at their prime, mixed with the best liquorice for the ultimate fruit liquorice fusion. 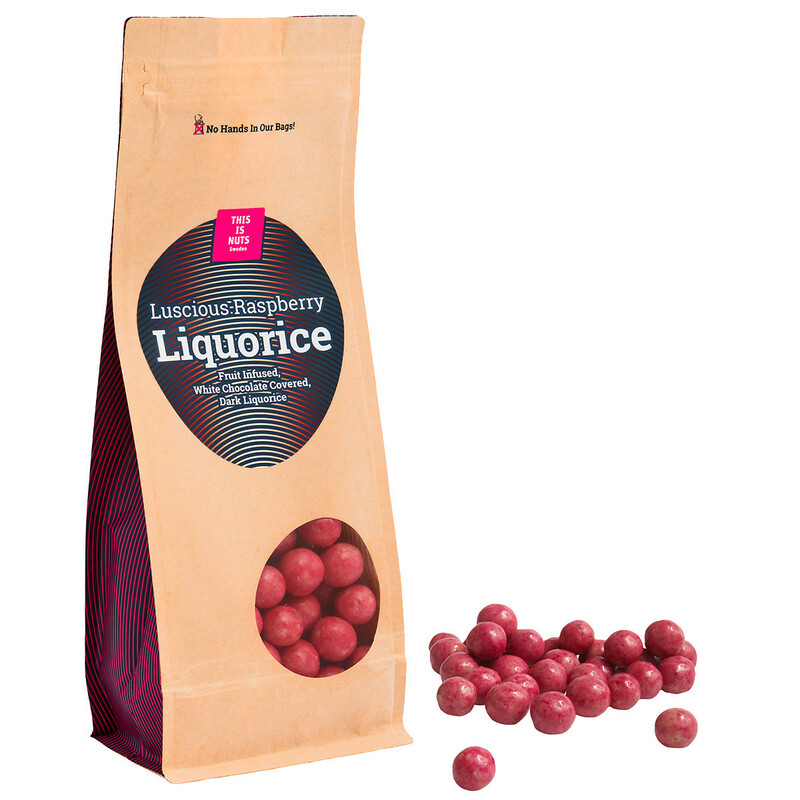 Enjoy our Luscious Raspberry Liquorice! 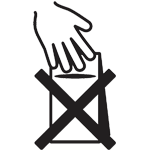 Our friuts and ingredients are of the highest quality and everything is hand-packed in Sweden. Our produce is made in Sweden and carries the same standard of high quality that we instill in all our products at This Is Nuts. Liquorice (30%), coated with white chocolate (68%) and raspberries. 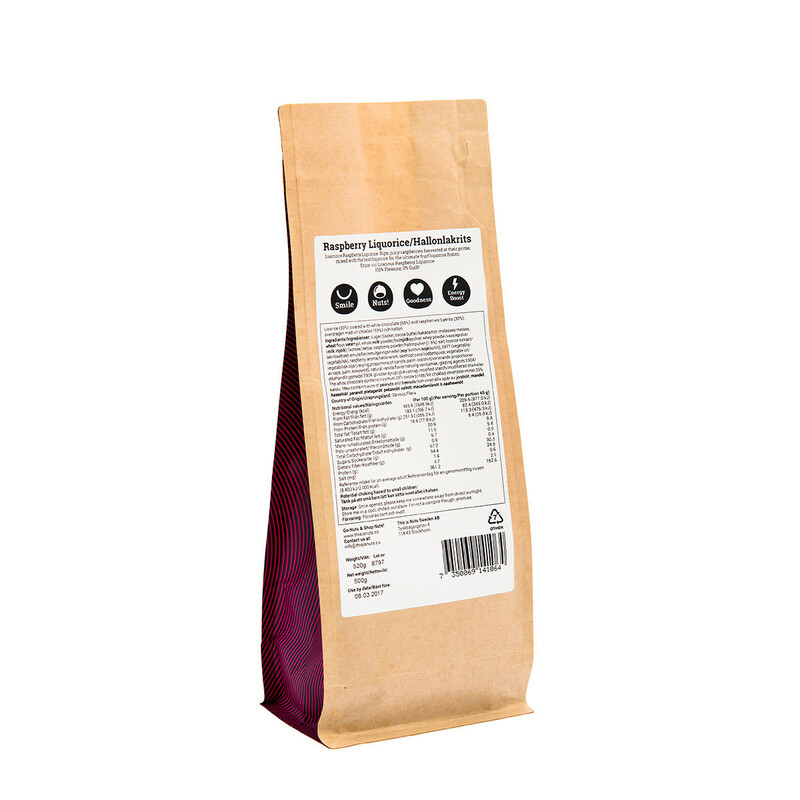 Sugar, cocoa butter, molasses, wheat flour, whole milk powder, whey powder, lactose, raspberry powder (1.5%), salt, liquorice extract, emulsifier (soy lecithin), E471 (vegetable), raspberry aroma, beetroot juice, vegetable oil (varying proportions of canola, palm, coconut),natural vanilla flavor, glazing agents E904, glucose syrup, modified starch. The white chocolate contains minimum 25% cocoa solids.